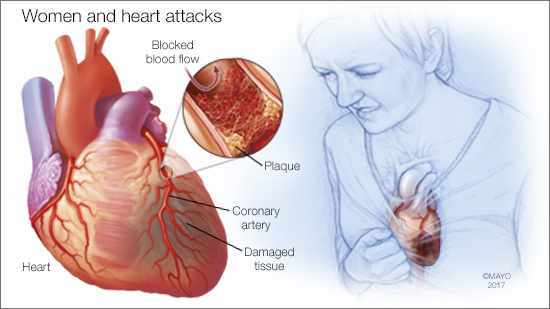 DEAR MAYO CLINIC: Is it true that women have different symptoms of a heart attack than men? If so, why does this happen, and what are the symptoms in women? ANSWER: Heart attack symptoms in women can be similar to those in men, but there are some crucial differences. Women’s symptoms tend to be more subtle and may be more ambiguous. Along with being able to recognize possible heart attack symptoms, as a woman, it’s also important to understand your own personal risk factors for heart disease and to get help right away if you suspect a heart attack.